Nokia 3.2 and Nokia 4.2 announced. Both phones sport a U-shaped notch and come with a dedicated Google Assistant button. Nokia has had a prominent presence at the Mobile World Congress, the world’s largest tradeshow for the mobile industry in Barcelona, ever since its comeback in in 2017. In just two years, Nokia claims to have expanded its user base by three times and also featured in the top 5 brands in key markets across the world. 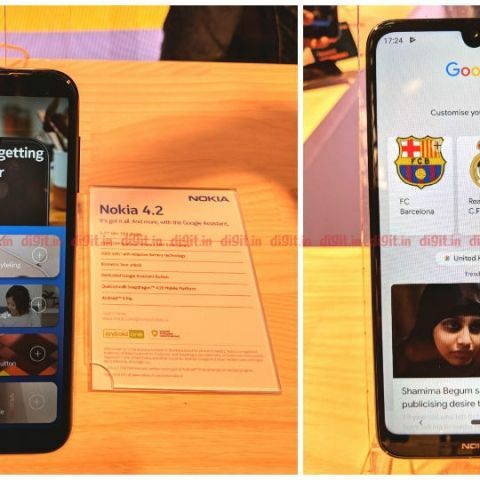 At MWC 2019, Nokia announced the Nokia 3.2 and Nokia 4.2 alongside the highly-interesting Nokia 9 PureView and the Nokia 1 Plus and Nokia 210. The Nokia 3.2 and the Nokia 4.2 are mid-range smartphones that incorporate some of the in-vogue features like a U-shaped notch, large batteries and more. The Nokia 3.2 sports a 6.26-inch HD+ display and has a breathing notification light on the power button on the side. It’s an Android One-powered phone like all Nokia phones but this time, Nokia announced that all its future Android-One phones will come with a dedicated Google Assistant button, including the Nokia 3.2 and the Nokia 4.2. The Nokia 3.2 is powered by an entry-level Qualcomm Snapdragon 429 SoC and sports a 6.26-inch HD+ display with an U-shaped notch. There’s also a 4,000mAh battery that Nokia claimed delivers 2-day battery life. The phone has a polycarbonate body and will be available in black and steel colours. On the back is a 13MP sensor that has AI scene-recognition. On the front is an 8MP camera. 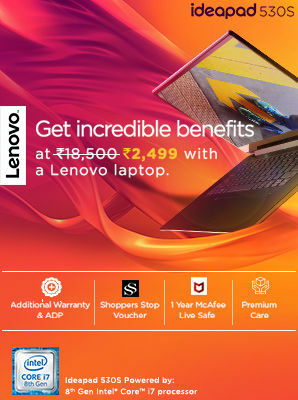 The device will retail for a global average price of $139 (roughly Rs 9,873). The Nokia 4.2 has most of the features that are present on the Nokia 3.2. It has the breathing notification light on the power button and the dedicated Google Assistant button. It’s also Android One-certified with the promise of three-year long security updates. Both phones also come with face unlock. The feature will be available in older Nokia phones via a software update later. The Nokia 4.2 also features a U-shaped notch and has a 13MP camera on the back paired with a depth-sensor. The Nokia 4.2 is powered by the Qualcomm Snapdragon 439. In some regions, the Nokia 4.2 will also come with NFC for contact-less payments. The phone is expected to arrive in April 2019 and will retail for a global average price of $169 (roughly Rs 12,005) and will be available in two colours - Pink sand and black.